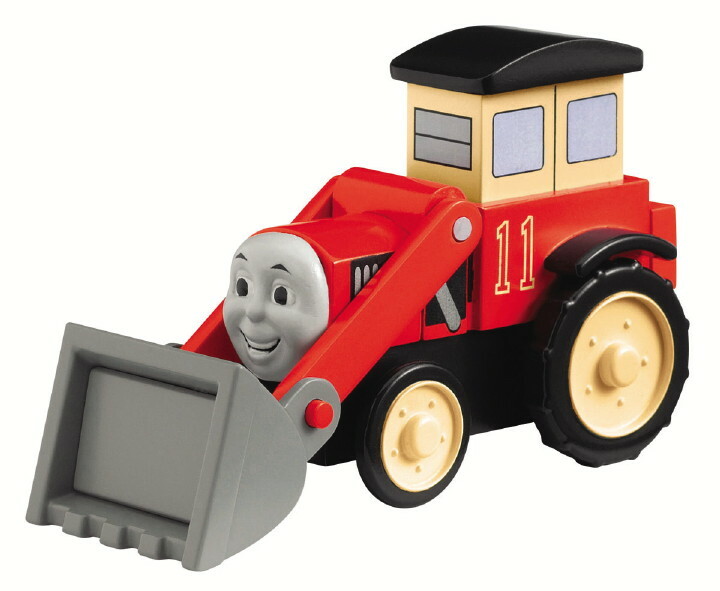 Jack is a tractor with a shovel loader on the front, he is very useful for loading all sorts of things. Jack got into trouble when he first came to Sodor but now he is working hard at the Sodor construction Company. Push Jack's cab down, and the loader moves up and down.